In light of the fact that I’ve been having a hard time blogging here as of late, and my discovery of tumblr, I think I’m going try something new, at least for a short while. A tumblr blog is a fine cross between an actual blog and a del.icio.us feed — two things I love to fill with content — so my hope is that it will allow me to share all sorts of things in an attractive format. Due to tumblr’s being a truncated form of blogging, I’ve shortened the name. I’ve been at it for a few days on tumblr, and I’m liking it so far. Check it out, and grab the feed if that’s your preferred method. 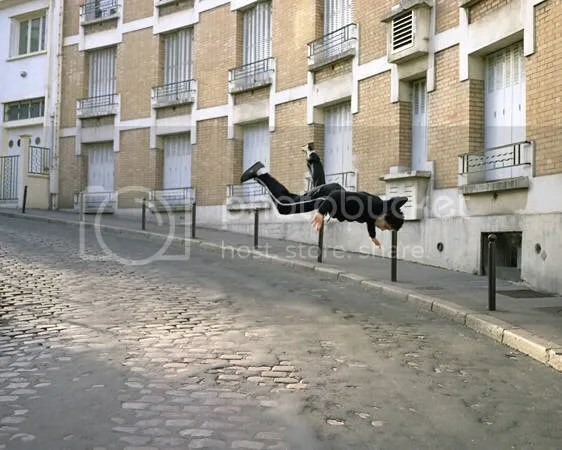 A must-see photography portfolio from France: Denis Darzacq’s La Chute. The Guardian has something to read. 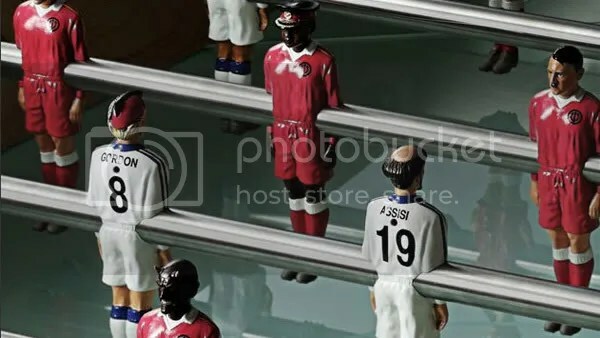 Does anyone have 14,500 pounds to spend on the “good vs. evil” foosball table? Chinese President Hu Jintao on Monday launched a campaign to rid the country’s sprawling Internet of “unhealthy” content and make it a springboard for Communist Party doctrine, state television reported. With Hu presiding, the Communist Party Politburo — its 24-member inner council — discussed cleaning up the Internet, state television reported. 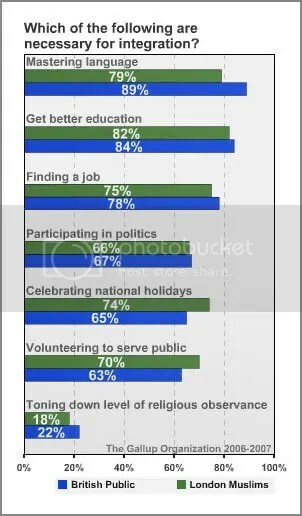 The meeting promised to place the often unruly medium more firmly under propaganda controls. “Development and administration of Internet culture must stick to the direction of socialist advanced culture, adhere to correct propaganda guidance,” said a summary of the meeting read on the news broadcast. 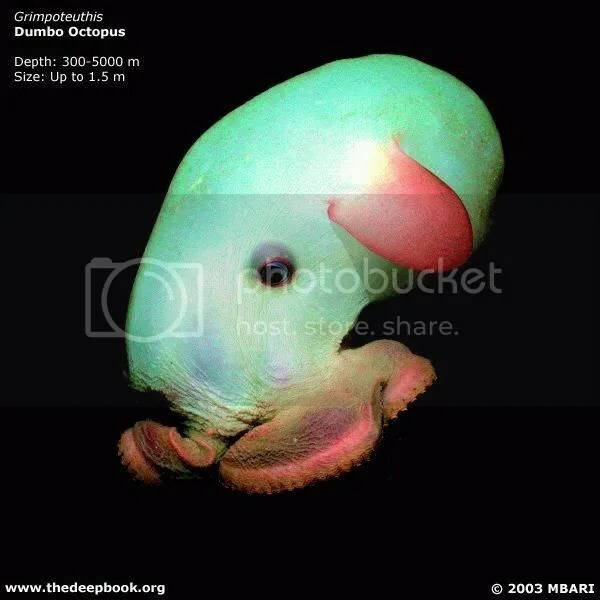 Twenty-six amazing photographs of deep-sea creatures can be found here. 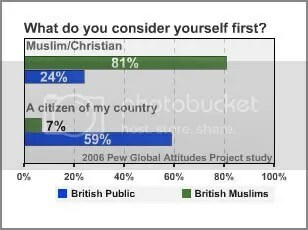 A 2006 Pew poll of the British public found that British Muslims, when asked to cite the source of their primary identity, overwhelmingly chose their faith, while the majority of the British public chose their country. The finding set off alarm bells in a nervous Britain still reeling from the 7/7 attacks and was widely cited as proof that the country suffers from a crisis of integration. 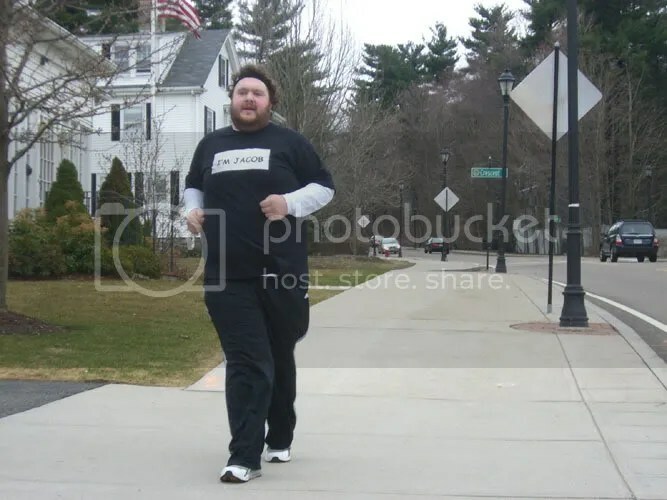 I very much enjoyed this 400 pound gentleman’s account of his “running” of the Boston Marathon, in which he finished last. I’m pretty sure that by the time I finished, the Kenyans were already back in Africa celebrating. I’d also like to congratulate the 122-year old guy who passed me around mile 13. I have no idea if he finished but as he passed me — he took with him any and all self-resecpt that I may have had. I’ve spent at least an hour in the past two weeks trying to trick Verizon’s automated messaging system into putting me through too a person. Turns out I should have been saying “Agent” over and over again. This is one of the most helpful lists I can imagine.